Armyworms that can strip pastures and hayfields have begun their march through Missouri’s tall fescue fields, warns University of Missouri Extension entomologist Wayne Bailey. Farmers should scout for true armyworms now, especially in southern Missouri, Bailey said. MU Extension agriculture business specialist Stacy Hambelton reports that true armyworms populations are two to three times the economic threshold in fescue fields in the Ozark County area. Early detection makes control easier. The worms quickly strip foliage from the leaves of fescue, wheat and occasionally corn. They don’t bother legumes such as alfalfa and clover. Fescue fields are the earliest indicator of presence. Once armyworms have stripped a field, they continue their path of destruction to the next field. Bailey suggests that farmers scout fields several times weekly by looking at the plant canopy up close and down low. Armyworms do not like light, so he recommends scouting at dusk, dawn or on cloudy days. He also suggests careful examination of leaf litter. Armyworms feed on the bottom of a plant first and move up the stem. They quickly consume more foliage as they become older and larger. “Not every field will have them, but there’s a potential that many will,” Bailey said. Infested fescue fields can be cut. Regrowth can be sprayed with insecticides labeled for control. 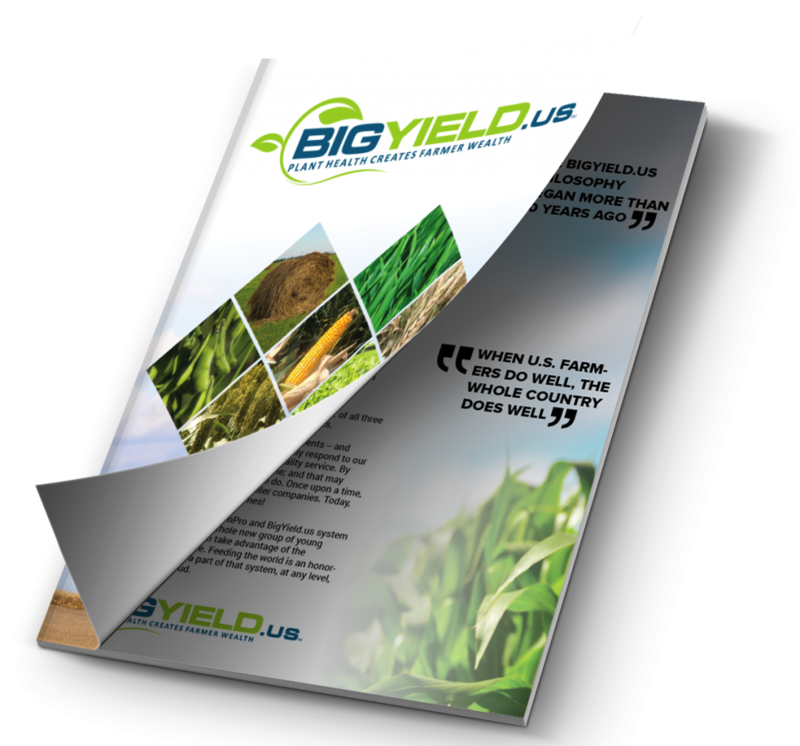 Treat fields when an average of four or more half-grown or larger worms (1/2 to 1 1/2 inches) per square foot are present during late spring and before 2 to 3 percent of seed heads are cut from stems in tall fescue. Bailey recommends foliar application of insecticide. Use enough water to penetrate the canopy of the plant. Moths usually fly into Missouri from tropical areas, and this year’s abundant spring storms created ideal conditions for a major infestation. Each moth can lay up to 1,300 eggs that hatch into foliage-munching worms. True armyworms got their name because they can march in a mass. They move in lines from one field to the next and destroy each as they go. 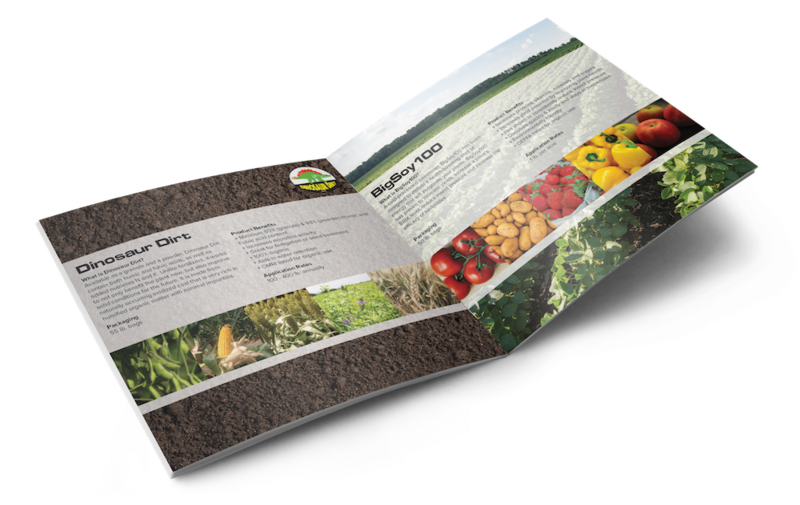 While there are two or three generations of the insect each year, the first generation causes the most damage to field and forage crops. True armyworms differ from fall armyworms, which show up toward the middle of the growing season. When small, armyworms tend to be green, but they turn a tan to grayish color as they grow, with tan stripes and one orange stripe down their sides. 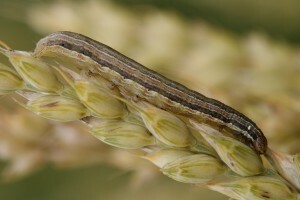 Four pairs of fleshy prolegs in the midsection with a black triangle on the side of the feet distinguish the true armyworm from other armyworms. Missouri’s last major infestation was in 2010. Bailey says the worms appear about every three to four years. “We were due for an infestation,” he said.